This morning the puppy, CeCe, woke me up early before the blazing Sacramento sun discouraged me from heating up the oven. So I decided to bake cornbread to have for dinner with our garden chili (so many tomatoes, peppers, garlic and onion right now). This cornbread does have a spicy kick to it, so I would suggest either pairing it with a mild chili or, if you do go all out, have a tall glass of milk ready. Preheat oven to 450 degrees. Mix together dry ingredients. Set aside. Whisk egg, milk and sour cream. Mix with dry ingredients. 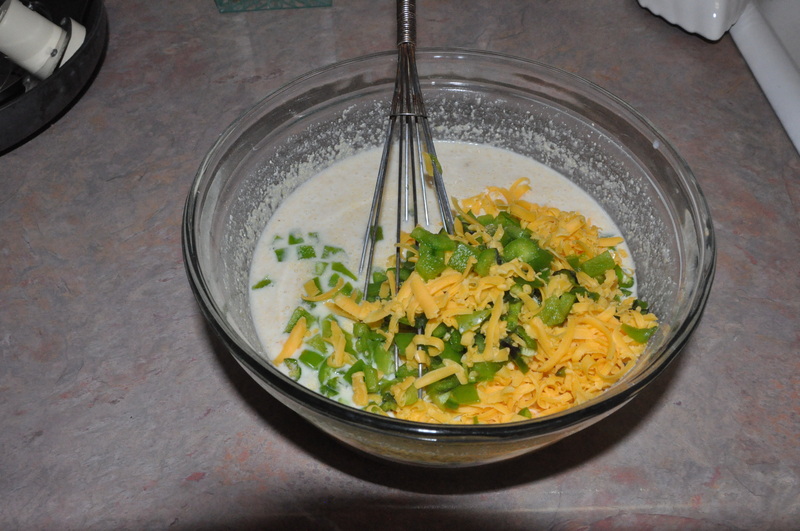 Fold in jalapeños, peppers and cheddar and spices to taste. 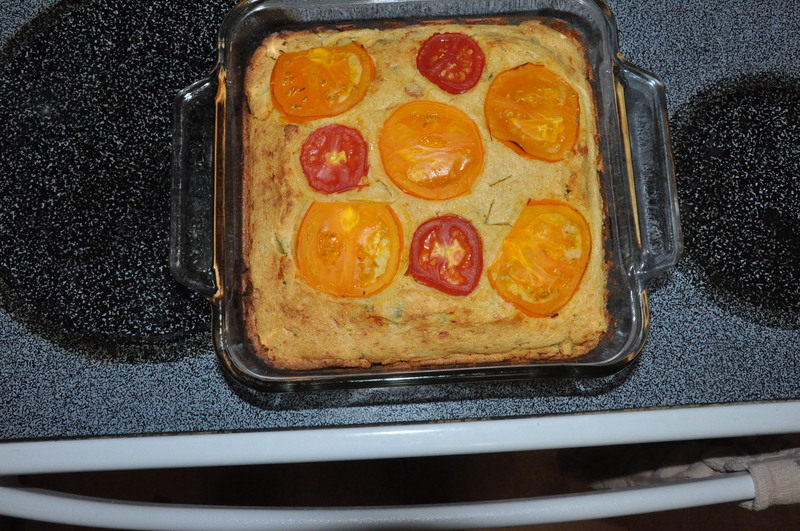 Pour batter into greased baking pan and top with sliced tomatoes. Bake in oven for 35-40 minutes. Cornbread should be brown on top and pulling away from the sides of the skillet. It’s so tasty! 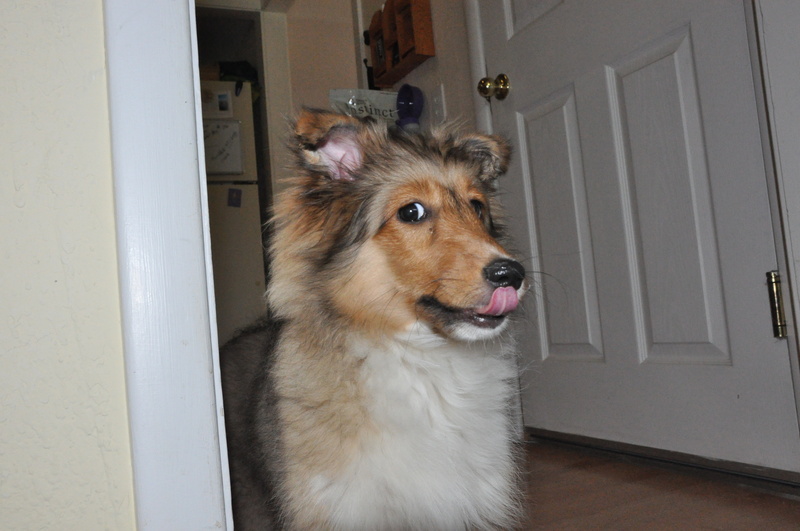 Even Cece is lickin her chops.